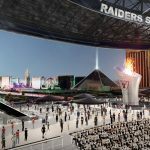 Caesars Entertainment has reached the first partnership with the under-construction $1.8 billion Las Vegas football stadium that will become the home of the NFL Raiders for the start of the 2020 season. In a press release, Raiders President Marc Badain says it’s the team’s first partnership with a gaming company. 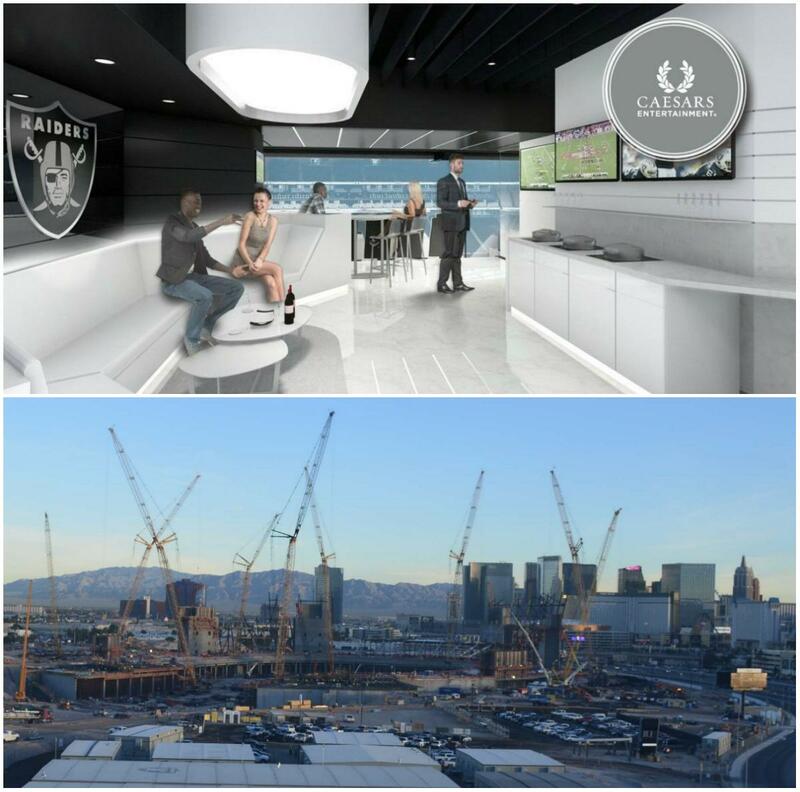 The 15-year arrangement will provide Caesars Entertainment customers and their Total Rewards members exclusive experiences such as access to the Caesars “Owners Suite” at the 50-yard line, VIP dinners on the field, fantasy camp participation, stadium tours, and tickets to Raiders games and stadium events. Caesars will become an essential part of the game time ritual for Raiders fans everywhere. 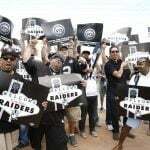 From activations to exclusive experiences, fans of the silver and black will see Caesars as their home on game day,” Caesars Entertainment Chief Marketing Officer Chris Holdren declared. The partnership allows Caesars to display its logo at various locations throughout the stadium including a specific branded drop off zone and entrance. Caesars will also hold a “commanding presence” in the stadium with digital signage, and be allowed to use the Raiders stadium in its marketing. Caesars Entertainment partnering with the Raiders highlights just how drastically the NFL landscape has altered over the last year. The NFL had long barred teams from having anything to do with casinos, but that all changed after the US Supreme Court of the United States reversed the federal sports betting ban and allowed states to determine their own rules and regulations on the gambling activity. In September, the NFL modified its advertising policy to allow teams to enter into marketing deals with casinos, so long as their sports betting operations are not included in the promotions. MGM Resorts, the largest casino operator in Las Vegas, is presumably also interested in reaching a partnership with the Raiders stadium. 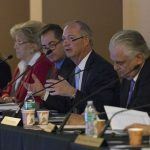 Nevada’s largest employer has been very active in wake of the Supreme Court’s sports wagering ruling. MGM became the official gaming partner of the NBA and WNBA in August with a $25 million, three-year contract. MGM will utilize real-time data supplied by the basketball leagues for its sports betting operations. This week, MGM landed its second “big four” professional league when it announced it’s now the official sports betting partner of the NHL. The arrangement allows the casino giant to access real-time data from the hockey league, and use the NHL logo in its sportsbooks. Finally this week, MGM unveiled a gaming partnership with the NFL New York Jets that includes a game titled “I Called It.” Fans will be tasked with predicting what will happen in the team’s games. Since the NFL still bars casinos from advertising real-money sports gambling, the mobile game played through the Jets app will only be contested for promotional prizes. 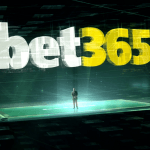 However, it will certainly introduce new players to the general concept of sports betting.